All of these desires were discussed in our initial interview with the owners and we were assured we’d be able to do those things. 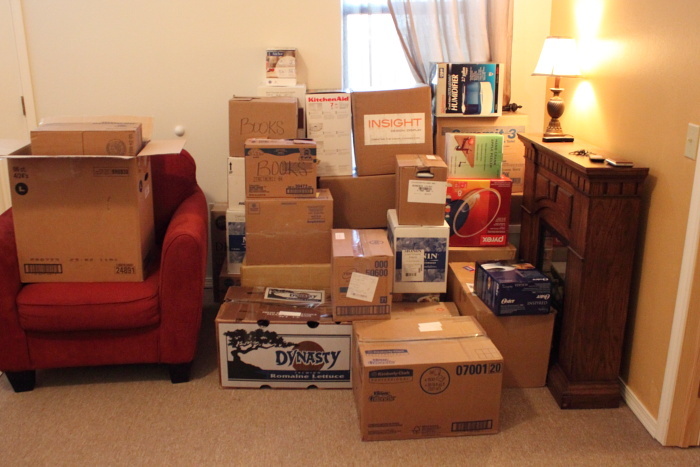 The best part about this move is that we’ll be right next to his family – I’m pretty stoked about it. Man, do I miss good coffee! I even miss okay coffee. The french press had been working overtime the last couple of weeks. I took for granted that I could have someone else make a great cup of coffee for me pretty much whenever I wanted. I also took for granted the availability of quality small batch artisan roasting in Kansas City. Benetti’s spoiled me the most. 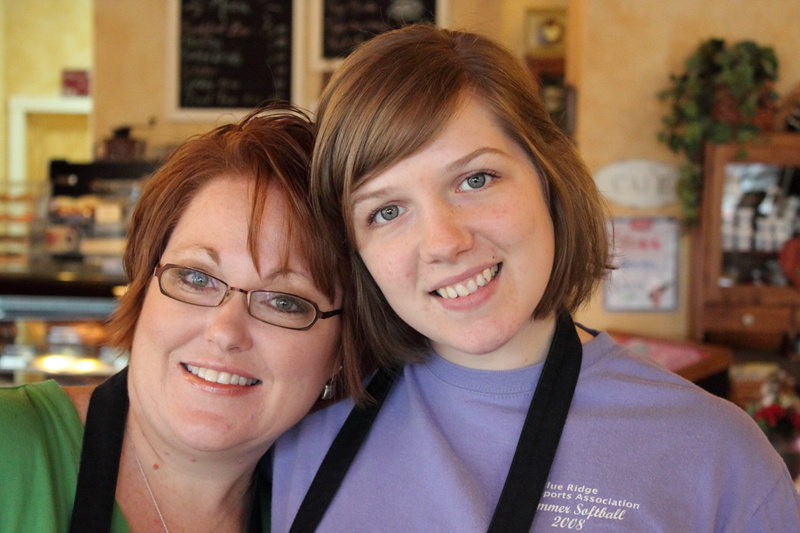 But even working at Muddy’s was a great opportunity. The most frustrating part so far is that no one wants good coffee in Mansfield. 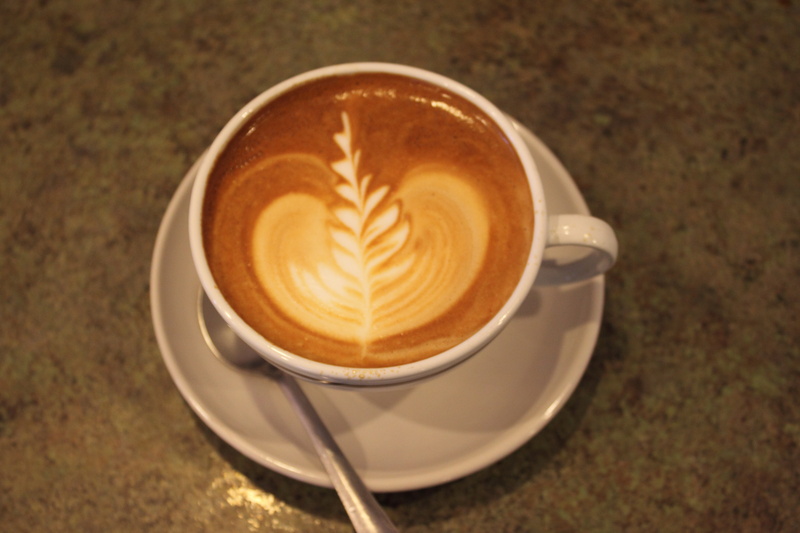 I have been doing coffee for about seven years now, and have been trained by some of the best Barista’s I have ever met. Now, I consistently have my coffee “lingo” corrected and am told that I am making coffee wrong. It is a bit frustrating. But all I really want is a really darn (Rachel’s been editing, darn was not the word I used originally, of course) good cup of coffee! The french press is great, and pour-overs always make a good cup of coffee. Maybe it is time for a Chemex, I have always wonted one. 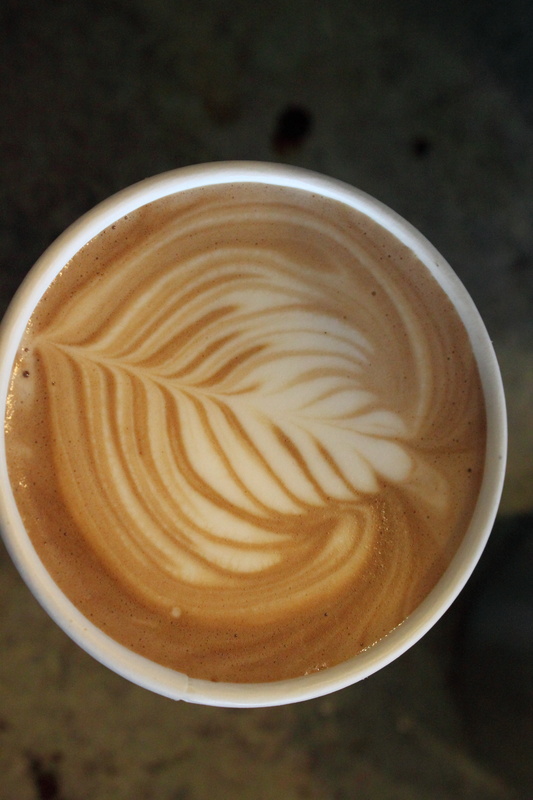 To all of you that had your latte this morning… Don’t take your Barista for granted. It’s worth it, trust me. I have had one pretty good Americano in the last 2.5 weeks and am not real sure how I am even functioning right now. 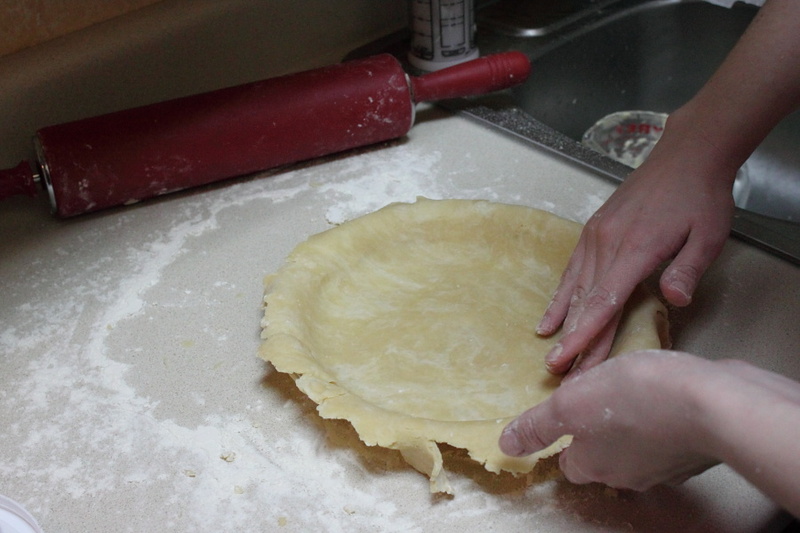 This week was filled with lots of random activities, some of which included baking/cooking. Of course. We met some new people and had them over for dinner the other night. 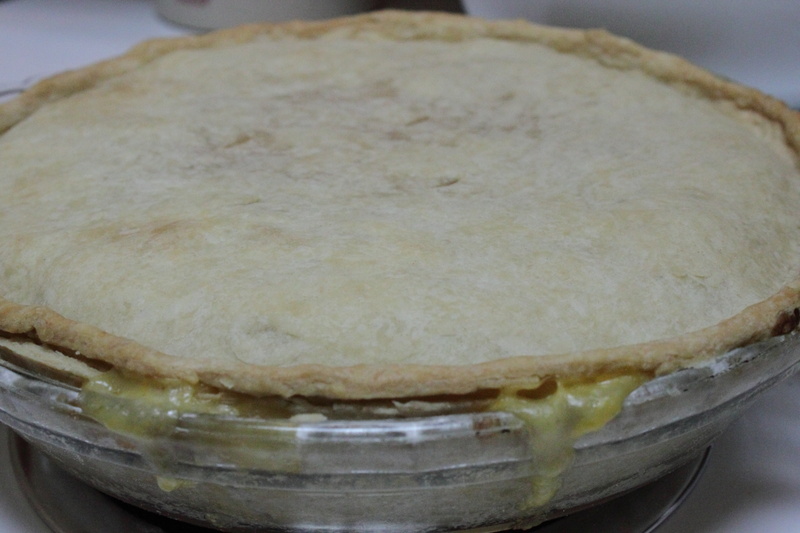 I made some homemade chicken pot pie. (Not the best picture, but it tasted good). 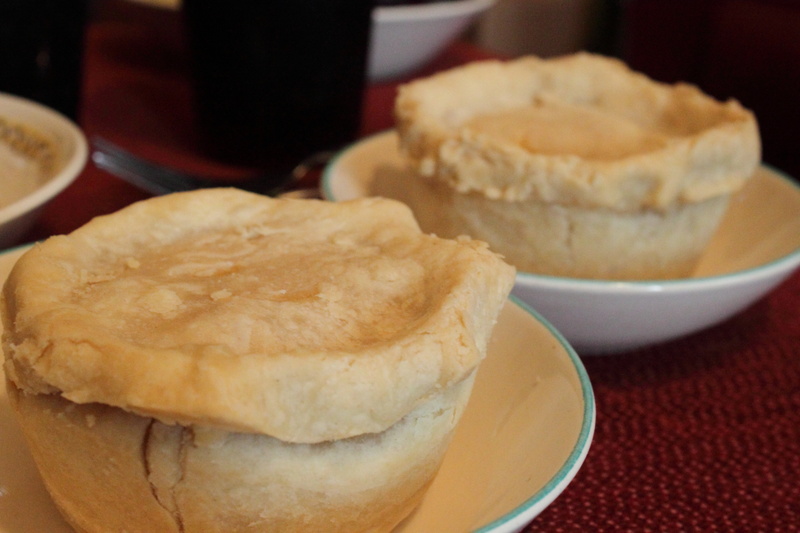 I had some leftover filling for the pie so for lunch the next day I experimented and made some mini pot pies. Now for the baked goods: Cupcakes were requested, so cupcakes they got. 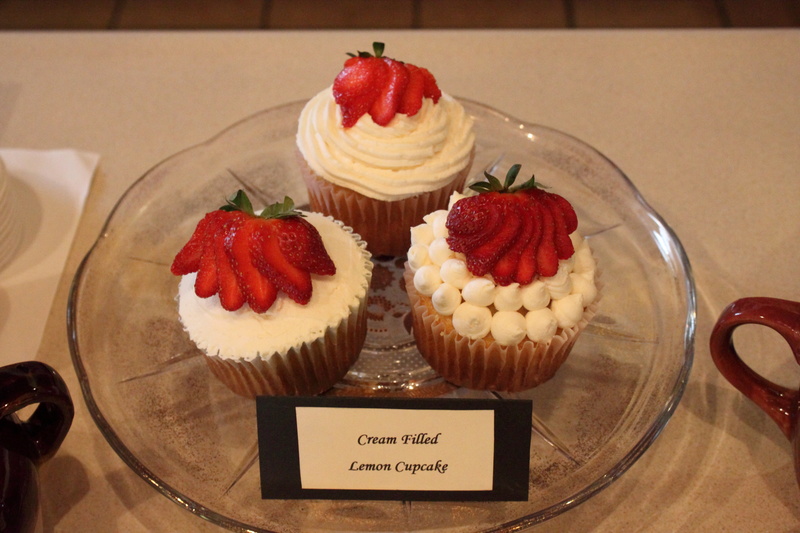 We had some strawberries, and they looked dang good, so I used them as a garnish for my lemon cupcakes. I’m not super proud of the way they came out. The butter-cream frosting wouldn’t cooperate with me and the cupcakes were so big that all the nozzles I had to do the frosting piping with just looked stupid…but they’re selling so that works. 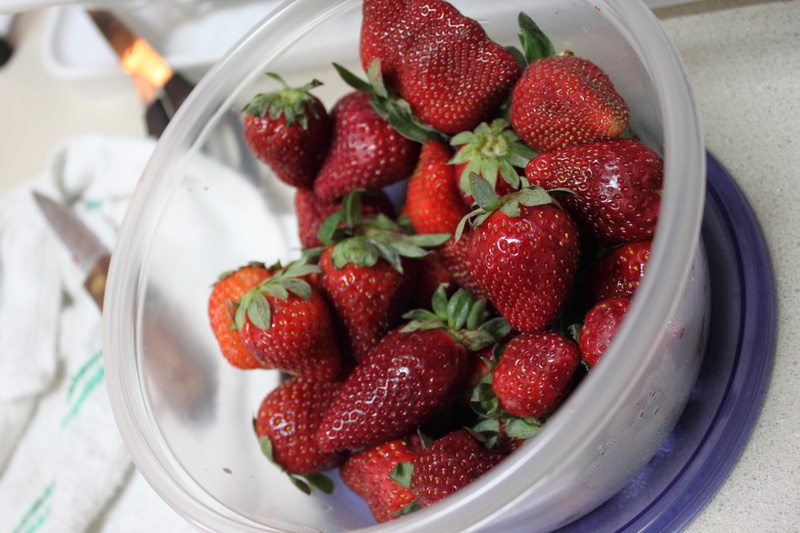 Also, I filled them with a lemon-strawberry filling but it just tasted like frosting in the end – so they’re pretty dang sweet. Does anyone have a good recipe for a filling? As I mentioned in an earlier post, the kitchen that I have to work with is rather small…Nay, VERY small…so the small amount of room that a cookbook takes up in a normal kitchen, is an unacceptable waste of space in ours. 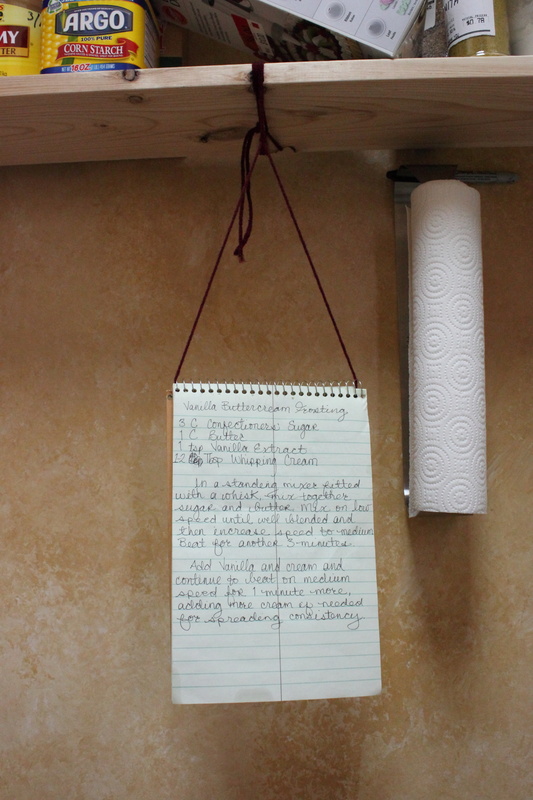 Hence, my handy-dandy recipe book holder. Prepare yourself…it’s super classy, and may blow your mind. 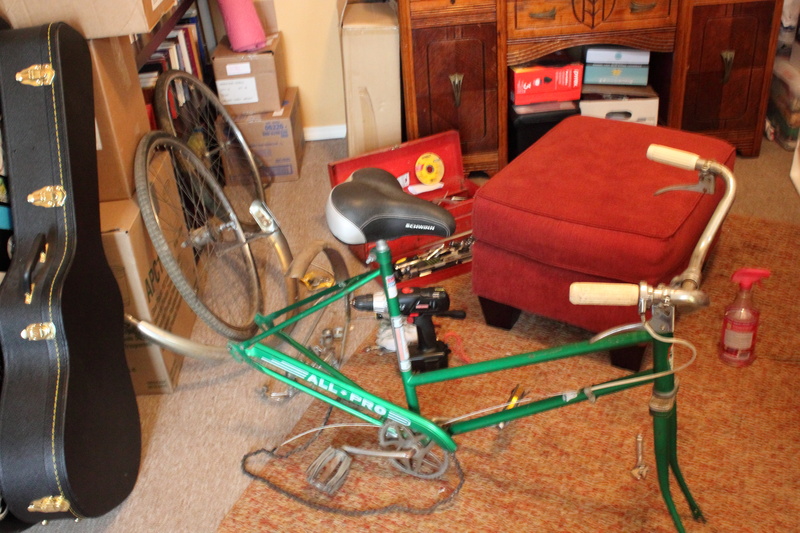 Outside of the kitchen, my amazing husband is refurbishing this beautiful old bike for me. He ordered the rest of the parts we’ll need this week, and we should get them by next week. 🙂 I’m beyond excited! AND…it gets better…he said there’s a surprise for me! He’s pretty good with surprises so I’m eagerly awaiting the arrival of our packages. 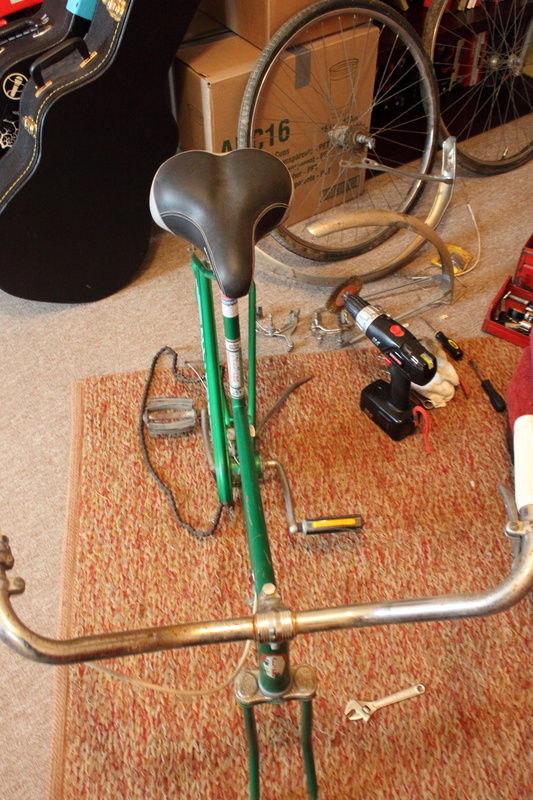 Right now, I’m trying to think of a name for the bike (I name things. Don’t judge) Any ideas? So needless to say, I can’t wait to ride this thing! It’s gonna be wonderful! To sum it all up, we baked, we cooked, we refurbished … O and I made some chocolate muffins that I forgot to set a timer for – we won’t be selling those. All in all it was a good week! 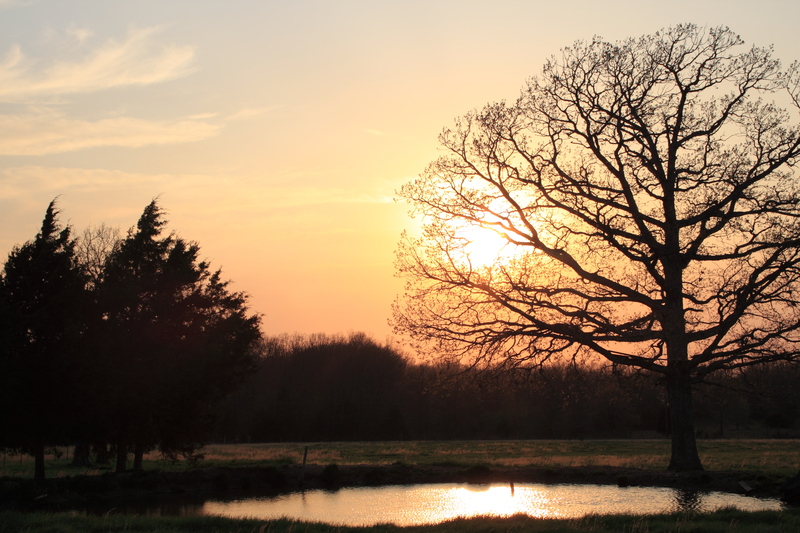 Excited for the good weather we’re supposed to have this weekend! So this was our first week working at the Weaver Inn. Technically it’s not over, but whatever. Holy dang it’s been a long week – and it really started with the ridiculous move from KC to here and then led straight into this work week. 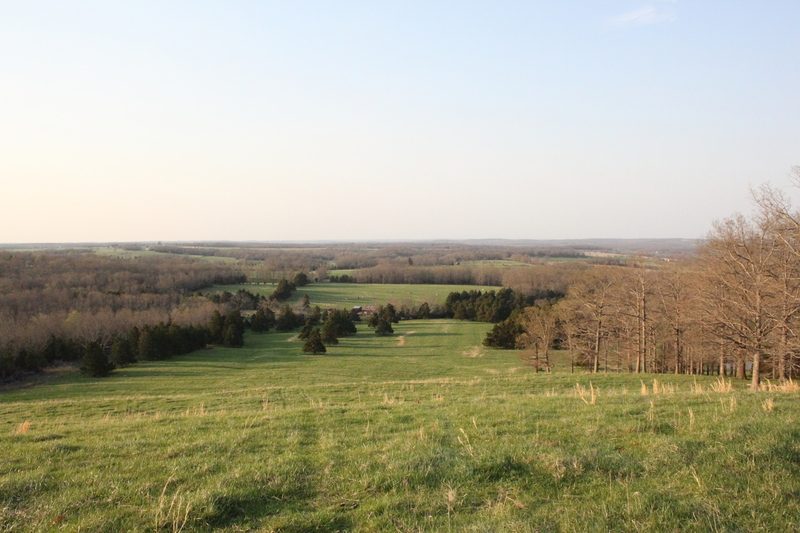 Last week we made 3 trips, back and forth from KC to Mansfield (roughly 3 and 1/2 hours – unless you’re hauling a trailer full of crap, or a truck full of junk with 6 bikes on the top…then it’s closer to 6 hours). The third and final trip to Mansfield happened Sunday afternoon, and got us into Mansfield around 9. It was raining – of course – but Jacob’s wonderful family was gracious enough to come and help us unload so it went pretty quick. Which was good, cause we had to be up at 5:30 the next day for our first day of training. Needless to say, I was draggin’ a bit. However, we are loving the job so far. 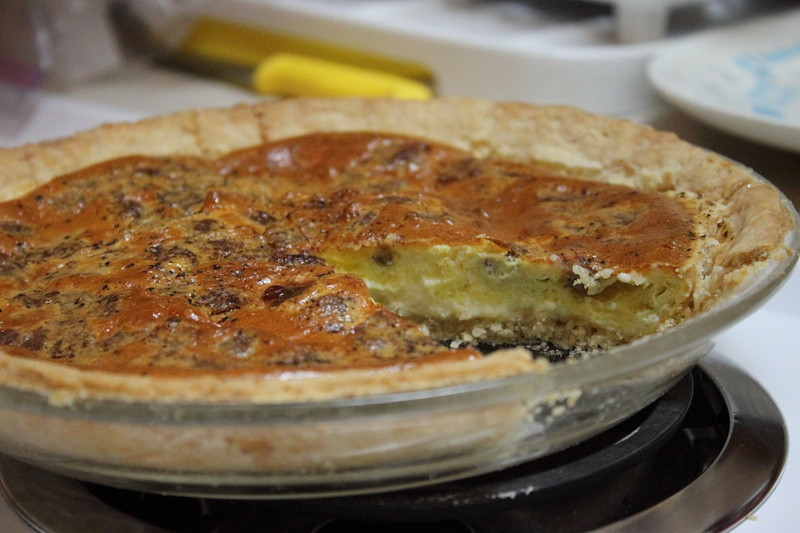 I’ve been baking, and baking, oh – and baking cheesecake :). It’s pretty great. Jacob taught me how to pull a shot and make a latte, which pretty much made my day! We get to spend all our time together, which was the whole reason we took the job in the first place, so that’s been GREAT! Like, no kidding, AWESOME! Let me just say – If you can do it, WORK WITH YOUR SPOUSE! Don’t listen to what people tell you about it being a disaster – it’s only a disaster if you have no ability to resolve conflict. If you do however, it can be the best blessing for your marriage! (look at me talking like I know about the intricacies of marriage – pfsh – I’ve only been married since December…and we’ve only been working together for a week) So…my advice may not be universal – my point is just that it’s been amazing for us and I sincerely love spending all my time with my husband. 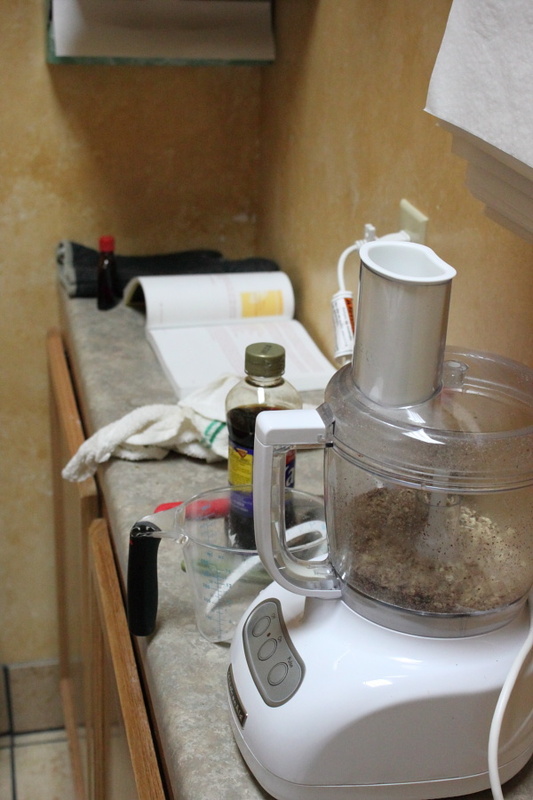 As we’ve been here we’ve had some fun adventures in our tiny little kitchen. I’m not gonna lie to you – it was fabulous! Then, the next night, we closed up shop and made the 20 minute drive to Mountain Grove to hangout with Jacob’s family. Jacob and his dad had been telling me about this funny old movie that I needed to see called “The Long Long Trailer”. We had meatloaf and potatoes for dinner and then snuggled up on the couch to watch the movie. It was hilarious. Lucille Ball and Desi Arnaz – always a win. 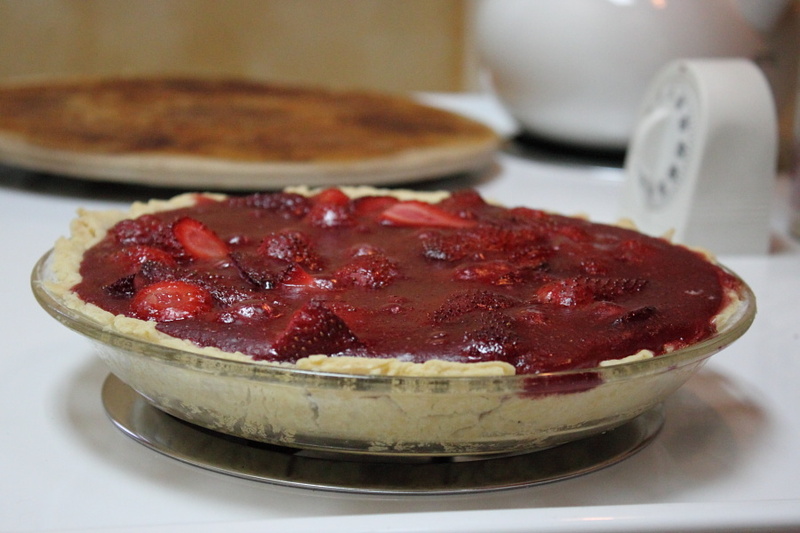 For dessert, we feasted on the fresh strawberry pie that Jacob made. This was also delicious! We threw some homemade whipped cream on top – it was delightful. And then came the cheesecake. 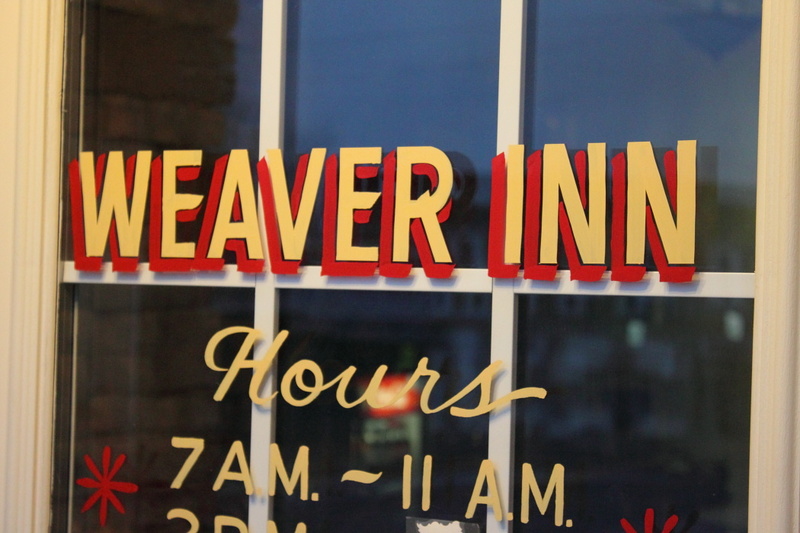 So, as you know, we are now the innkeepers for the Weaver Inn. Well, the Inn is also a Coffee and Dessert Bar. So, all week I’ve been baking cookies and muffins, and other such fun. But when I found out they were selling store-bought cheesecake I said “WHAT!?! I don’t do that” – ok maybe that’s more attitude than I used, but whatever. I like to think I’m tough. 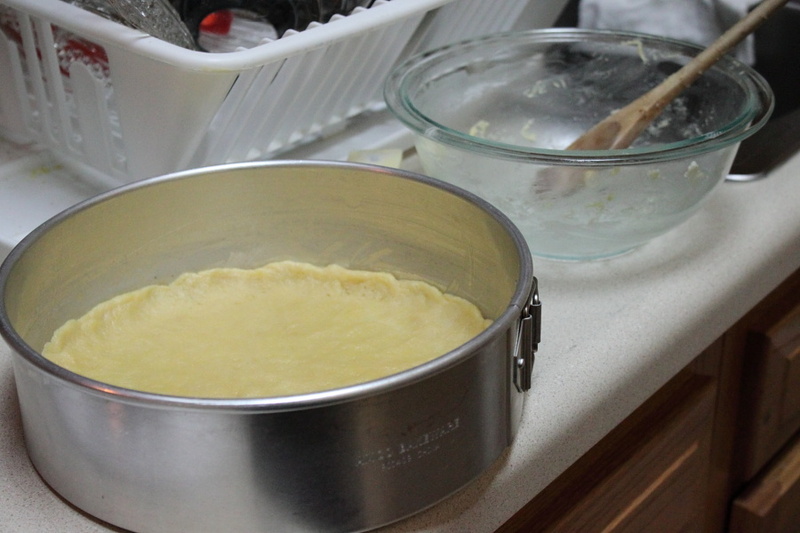 Anyway, so began the day long process of me making a cheesecake for the Inn to sell. 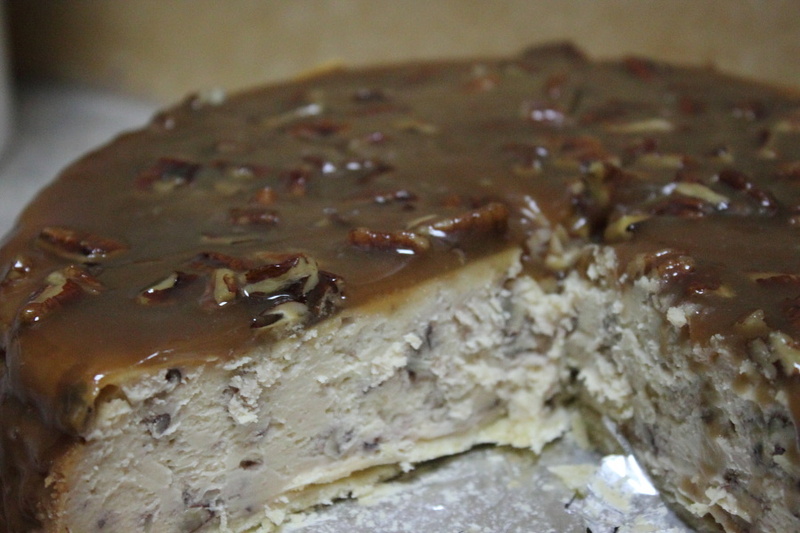 I settled on making the Caramel Pecan Cheesecake (I know right, like that was a hard decision). Let me first explain to you the setting. 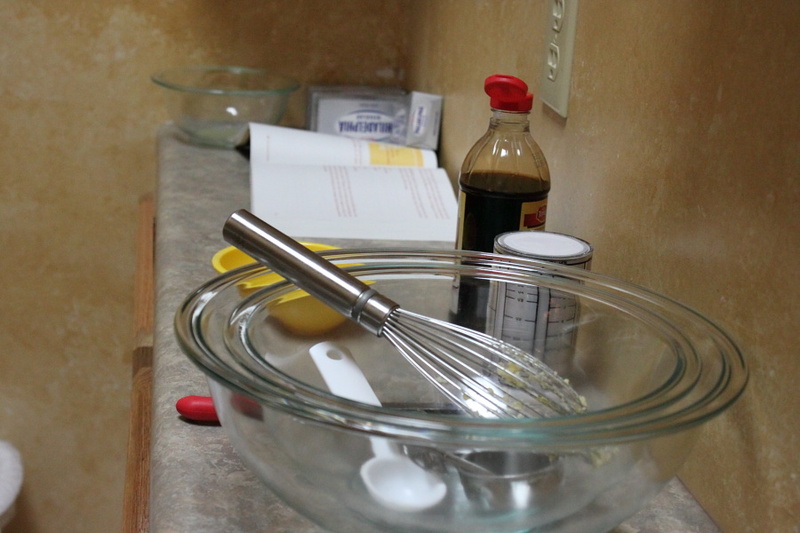 This all the counter space I have in the Inn’s kitchen – and these bowls, that whisk, and the brute strength of my biceps is the only “KitchenAid” we have. 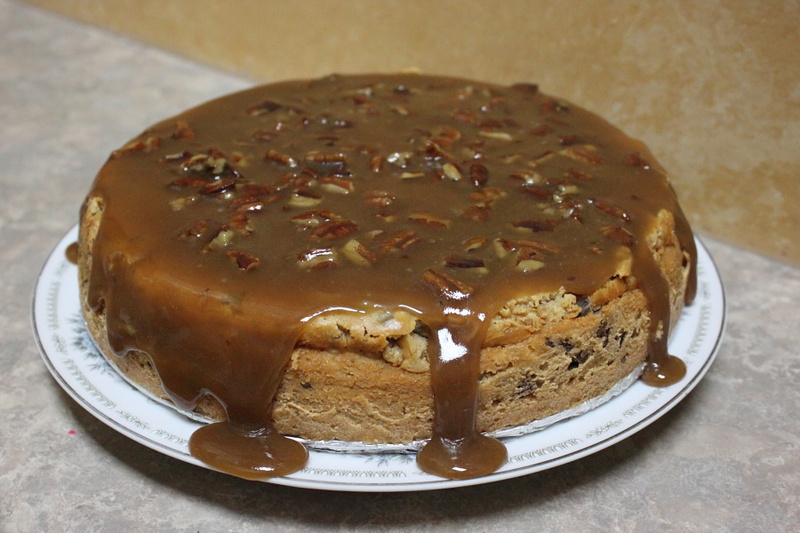 So, after psyching myself up for the task – and frantically texting my Cheesecake Hero, Laine Cardarella, for advice – I set out to make this monster. 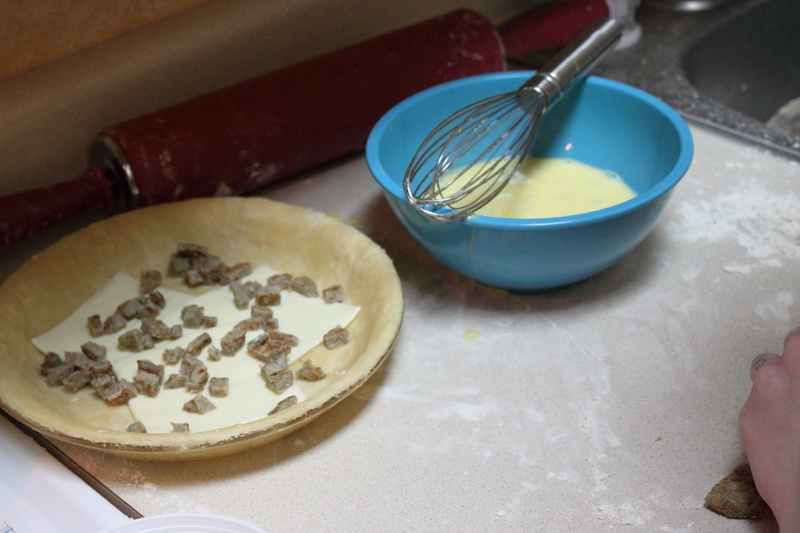 First Step: homemade cookie dough crust. 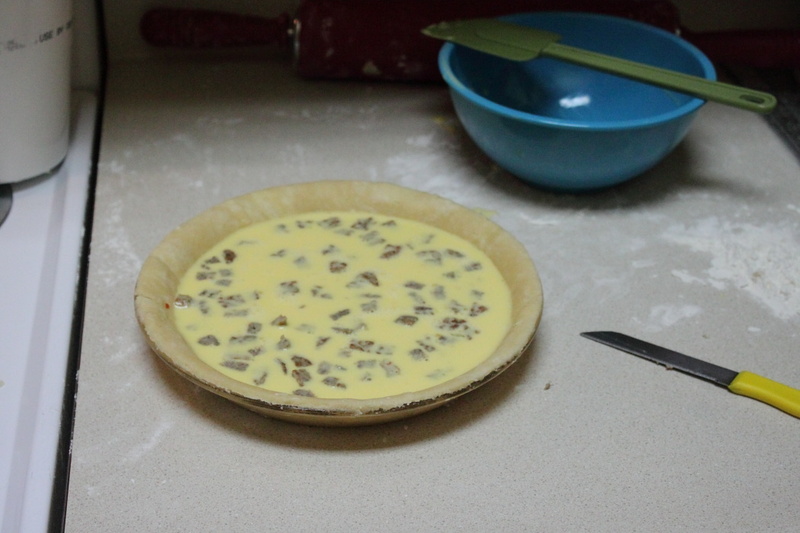 Next up, the filling. Ridiculous amounts of cream cheese, eggs, and sugar – along with a few tasty friends. Now here’s the part I was nervous about. Cheesecakes are tricky, you can’t just pop em’ in the oven and come back 30 minutes later to a masterpiece. They require much attention, and a lot of time. 15 minutes at 375, then 2 hours at 200, then 2 hours with the heat off, and then you chill overnight…it’s involved. 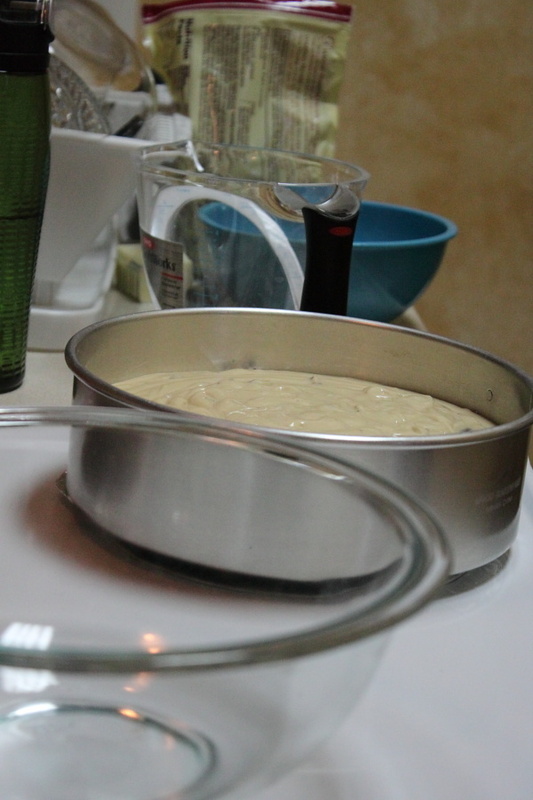 So, a whole day later – I pull it out of the oven and start on the frosting. After numerous fights with the ratios in my frosting – I finish the Cheesecake and step back to admire my work! We started selling the cheesecake slices here and so far I’ve heard lots of good things. Today this guy came in to buy a piece for his wife who had been waiting for me to finish for the last 2 days. He called back about 30 minutes later to say that his wife loved it! 🙂 I’m pretty sure I squealed for the next 5 minutes – cause I’m SUPER mature! 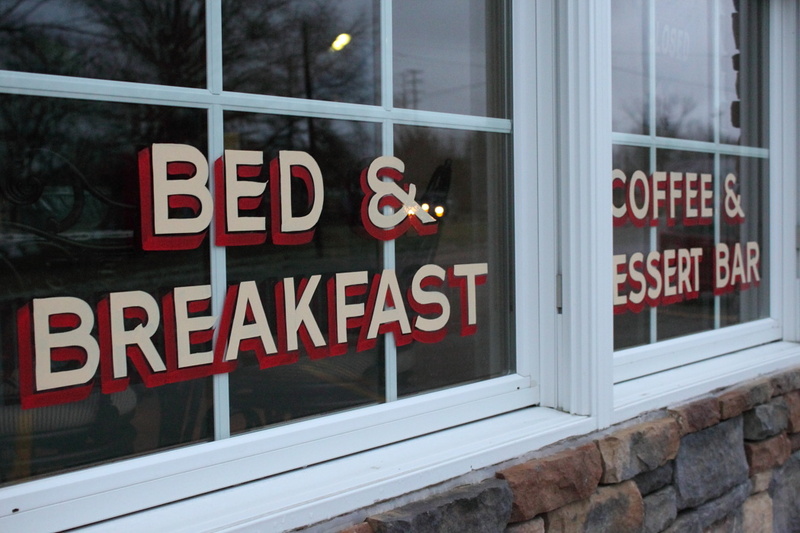 So, we are on day two of learning the ropes of bed and breakfast innkeeper-ship, and we’re loving it. We have great bosses and coworkers that have made our first couple days a lot of fun. I still can’t believe this is our job, it’s pretty amazing.